Keeping in sync with time, we are offering an unparalleled range of Copper Perforated Sheets. This range is manufactured utilizing superior grade raw material, sourced from reliable vendors of the market. Along with this, the offered range is available in different shapes such as round, square, slotted, hexagonal and decorative patterns in accordance with the diverse requirements of esteemed clients. We provide our customers with an extensive range of SS Perforated Sheets that is precision-engineered using the superior quality material. 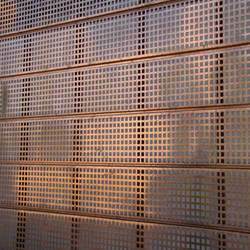 Further, these Stainless Steel Perforated Sheets are used in ventilation, decoration, screens, diffusers, guards, and protection. 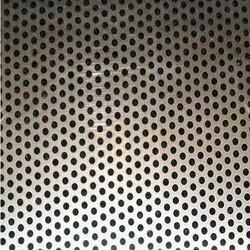 We are a leading name in this domain engaged in offering Stainless Steel Perforated Sheet. 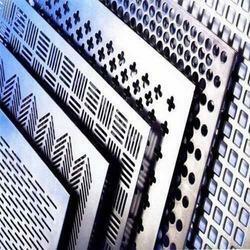 The demand of offered perforated sheets is high as these are in-line with globally laid quality norms. To ensure the same, we manufacture these by making use of optimum quality raw material and modern machinery. 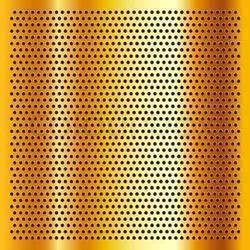 Our firm is catering to the emerging requirements of esteemed clients, by offering a superior range of Brass Perforated Sheets. These products offered by us are made utilizing superior grade raw material and innovative technology in adherence with the international quality norms and standards. Looking for Perforted Sheet ?